For once Sarsfields Ann Walsh was left speechless when she arrived to the club pavilion last night.There to greet her were over 200 family members and friends to enjoy her surprise 70th Birthday party. A huge turnout for the very popular former propreitor of The Old Court Takeway, with two passions in her life Sarsfields and her Set Dancing. It was a night of reminiscing but more importantly a night when sparks flew on the dance floor with music provided by the one and only Finbarr Dennehy. 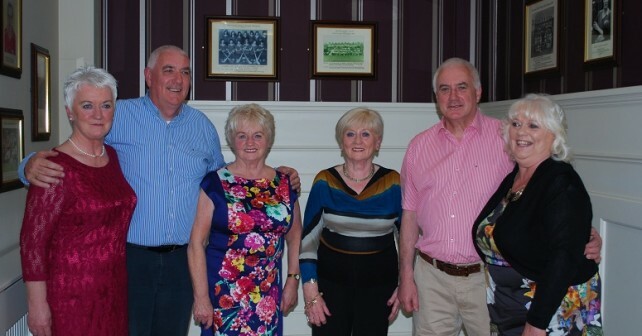 What a night ……Ann is pictured here with her sisters Pat, Mary and Martina and brothers Bertie Og and Tadhg.